“I’ve had the honor of being on 11 OneSight clinics and in May I will be on my 12. I’ve done vision vans, regional clinics, walking shield clinics, & global clinics. I volunteer to give back. Whether it’s 1 day, 1 week or more, I get to focus on others & not myself. For the length of time I’m volunteering, I focus on others and helping make a difference in their lives. It may be giving that child a pair of glasses so they can see the world clearly or giving a senior citizen a pair of reading glasses so they can now read their bible again. It maybe getting my patient the proper medical care they need or other services that we freely have in our lives. We help each and every person that walks thru our clinics. 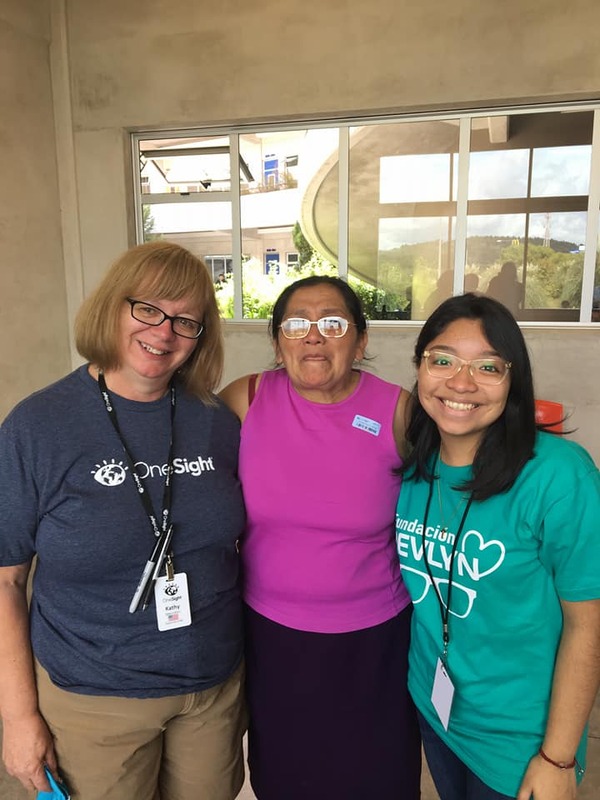 No OneSight clinic is ever the same. Our teams change and the people we see change. OneSight is a family. Each team is made up of people from all over the world and from different aspects of luxottica or from other places. We come together mostly as strangers and become a strong team that works hard for the length of the clinic. We work together to ensure every patient is seen and taken care of. To see all these volunteers work together to help others is so beautiful. Our teams become our family. We do so much more than just give people glasses. We help change their lives. Some can see now to get an education or now can work. Clear vision is life changing.